A minigolfer hits the ball, trying to score a hole-in-one. If he misses, the ball is left where it stops, and the second player of the group hits a ball on the lane. Also this ball is left where it stops, and the third player of the group hits a ball on the lane. Now the player whose ball is farthest from the hole makes his second shot. He may be stuck behind other balls, without a clear route to the hole. Or he may have the chance to make his ball bounce into the hole from other balls. Accidentally or intentionally, he may knock the balls of other players into the hole, or out of the way and far down the lane. 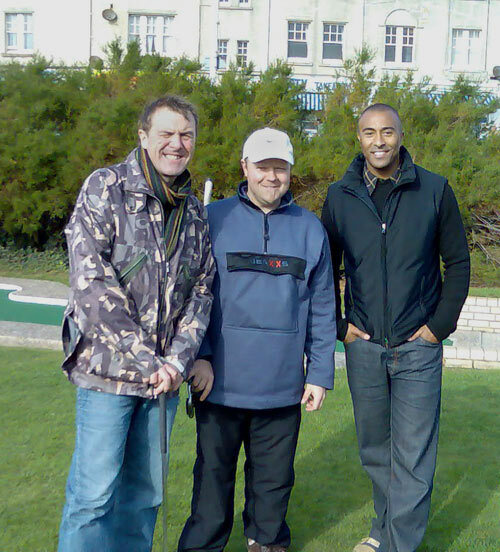 This is Crazy Golf World Championships. An annual competition played in Hastings, Great Britain. A game of its own (what comes to the playing rules), and therefore able to arrange World Championships of its own. Pasi Aho of Finland has been trying his luck at World Crazies every year since 2005, but without major success so far. After a promising 3rd rank in 2005, he fell to 5th rank in 2006, and now to 15th place in 2007. 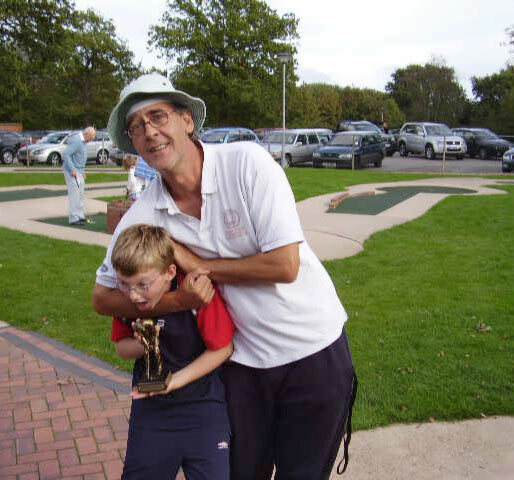 The defending Crazy Golf world champion Tim Davies, for several years unbeaten on these courses, stepped aside from the winners podium this year, and gave room for fresh new talents. The coveted World Crazies title was inherited by Chris Harding, by a convincing win margin of 9 points before Andy Exall (silver) and Brad Shepherd (bronze).